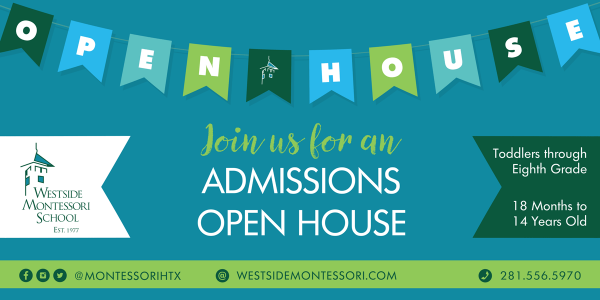 Join us on Monday, February 11 from 9:00 to 11:00 a.m. for a tour of the campus and get the opportunity to chat with our faculty and staff to learn more about why a Montessori education is so beneficial for your child. Already a part of our community? We welcome you to share this event with your family and friends looking for quality education for their children.